It's no secret that all of my kiddos have special dietary needs. Sunshine and Bulldozer have food allergies. Dinomite and Princess also have feeding issues. Dinomite's are related to his autism. Princess' issues are caused by food related trauma and neglect she endured before coming to our home. No matter what the special dietary need is or where it came from, the initial process of dealing with them, in many ways, remains the same. 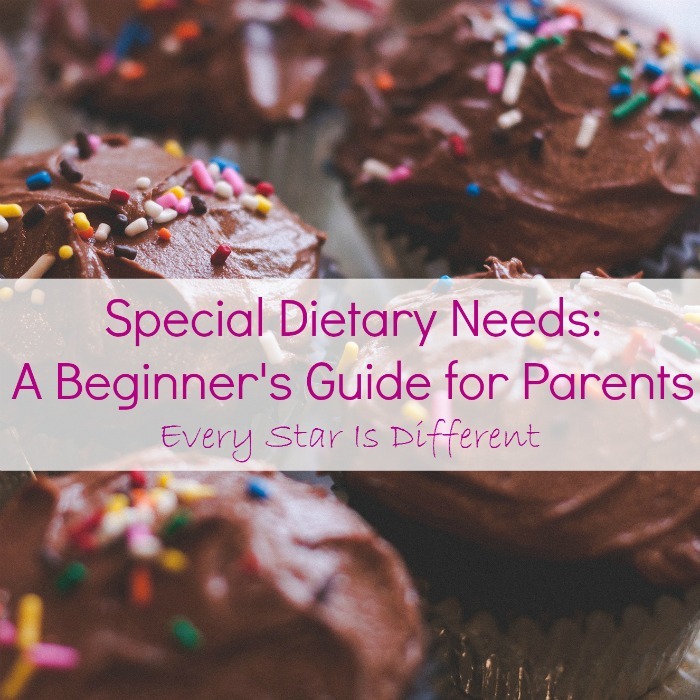 It is my hope that this beginner's guide for parents will help others who have children with special dietary needs that have just been diagnosed. It would be so nice if there was only one word to define 'egg' or 'dairy' on an ingredients list, but that's not the case. When it comes to foods your child can't have, take the time to research those specific foods for other names they may go by and/or places you may not expect them. Remember not to leave out herbs and spices. With the list of foods that are no longer allowed in your child's diet, and your second list of other names those foods go by, arrange for a lengthy and solo trip to the grocery store. Start by going around the outer edges of the store and slowly work your way to the center, reading the ingredients lists of as many items as you can tolerate at one time. This process may take more than one trip. Read ingredients lists on ALL items, including baking items. You'd be surprised what's in them. When you find an item your child can have throw it in your cart (if you have money on hand to purchase items), or start making a list in a notebook of everything you find. Write down the aisle or place in the store you found it. It would not be a bad idea to take a picture of the item, if you're only writing a list as well. You'll learn to love the fresh produce, meat, and dairy isles for their simplicity. Warning: Your grocery bill may double, triple, or quadruple due to special dietary needs. Plan accordingly for this in your budget. Do not forget to read ingredients for cleaning supplies, laundry detergents and fabric softeners, make up, soaps, hair products, lotions, toothpastes, vitamins, medicines, pet foods, and/or anything else your child may come in contact with. If it is safe to keep foods that are not allowed in your child's diet, take this time to reorganize cupboards, so that you have one specifically for your child's special dietary needs, that includes any special snack items etc. Make sure any unsafe foods will be out of their reach. Any unopened food items you must disregard, consider donating to a food pantry or a family in need. Delivering items to one of these places, will help you with your grieving process during this difficult task. You've gone to the store. You've purchased basic items/ingredients. You may also have a list of other items you haven't purchased. 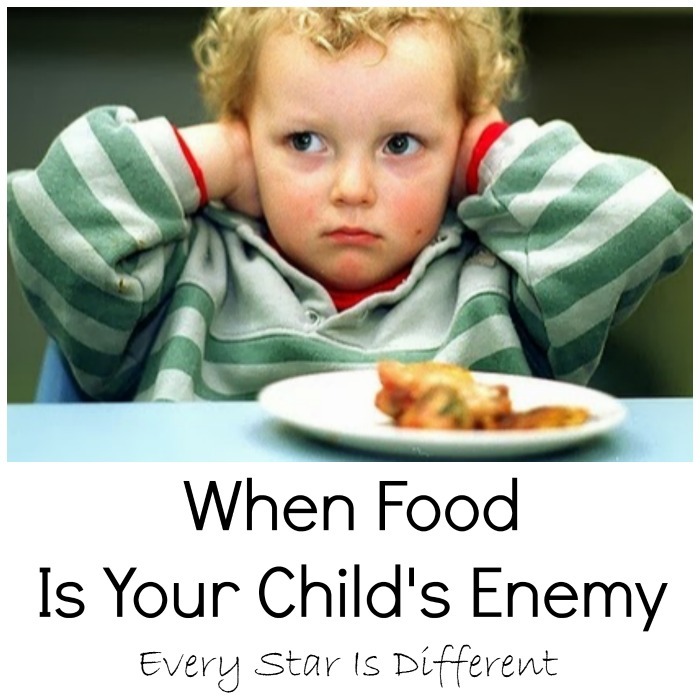 Now it's time to try to put a menu together for your child with special dietary needs. Your first goal is to create a menu for 1 week, that includes three meals and 2 snacks a day. You should be able to do this even without recipes. Consider meals such as grilled chicken, baked potatoes, and a simple vegetable, or rice and beans with a fruit. If bread isn't a possibility, use crackers as a replacement and make little sandwiches. There are a variety of alternatives to dairy, when it comes to milk. The cereal and fresh produce isles in the grocery store are fabulous when it comes to snack replacements. Try out your menu with your child for the week. 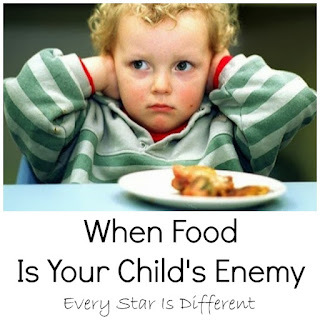 There is a definite difference between foods that your child can eat and foods that they will eat. Your ultimate goal is to create a menu for your child that they will like. Special dietary needs are already take the fun out of eating. You want to make meal time and snack time as enjoyable as possible. Some kiddos prefer to eat the same foods day in and day out. Be okay with this for now. After all, for once, it makes your life easier. Once you've created a menu full of safe foods that your child enjoys, you should be feeling a little bit better about your own capabilities in dealing with your child's needs. Unless you and/or your child prefer to eat the same things every week, you're going to want to expand your meal options. Do NOT go out and spend money on special dietary needs cook books unless you have previewed and sampled more than half of the recipes in the book, and enjoy them. There are so many alternative ways to finding recipes that are free. You've already just spent enough money on groceries after all. Consider reaching out to friends and extended family. Give them a list of your child's dietary needs and ask if they have any recipes that fit the bill. Note: It may be easier to give them a list of what your child can eat vs. what they can't. Add some extra incentive by giving a prize to the person who has the most recipes that will work. Search the internet. There are so many sites out there with fabulous recipes. Pinterest is overflowing with recipes. My biggest issue with internet and Pinterest searches is that unless you know exactly what you're searching for, the process can be extremely overwhelming, and can only remind you of what you're missing, not what you can have. 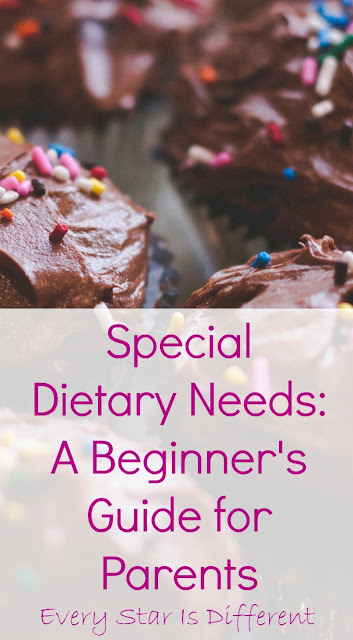 Unless you can afford a personal cook or have unlimited monetary resources, you will need to spend time in your kitchen cooking and baking for your special dietary needs child. Whether you take one day and prepare 20 freezer meals, or cook individual meals each day, the time commitment will be the same. There will be days when you don't feel like cooking or baking, or when you just won't have time. Find at least two easy to prepare meals to have on hand as back up. If your child is in school, you will need to have back up treats ready for parties, holiday, and birthday celebrations at school. I was raised in a home where all of the prepared dishes were placed on the table as we sat down at meal time. They were passed around or dished out by my mother. Everyone used the same serving spoons and knives. In our home this is not possible. The food either remains on the stove or set up on our kitchen island, away from the table. Each dish or component of the meal has it's own spoon, fork or knife, to ensure no cross contamination. In some cases, dishes are prepared on separate counters to ensure safety. We have four children in our family, all with different special dietary needs. Other ways to do this would be to code things by character or pattern design. When putting away left overs, you can do the same thing using color coded container lids etc. In our home, everyone has only one set of dishware and silverware that is cleaned by them individually after every meal. This helps cut down on cross contamination as well. When it comes to sitting together at the table for dinner, be sure to place your child with special dietary needs in a seat that will be safe for them. The best place would be between two responsible adults or between two empty seats. As they get older and are more aware of their own special dietary needs, you may be able to place them next to understanding and supportive siblings. If it's possible for everyone to eat the same thing as your child with special dietary needs, this task may be a little easier. I have a notebook of my most used and needed recipes. At the top of this list is a safe cake/cupcake recipe for my kiddos with special dietary needs. Whether it be for alternative cupcakes I need to bring to a birthday party they've been invited to, for their own birthday celebration, or other special occasion, you will need a recipe. We've been baking from scratch for a while now and had to come up with alternatives to a lot of ingredients. You may find others that work for you, but I wanted to share what we've learned. In most baking recipes you can use water in place of milk. Oil can be used as an alternative to butter, margarine, and/shortening almost always. If oil can't be used, Fleishmann's Unsalted Margarine has no dairy. Olivio Coconut Spread has no dairy or soy. When baking recipes call for eggs, you can use pumpkin, banana and/or Ener-G Egg Replacer. When not using eggs you will want to stick to cupcakes, small bread loaves, cookies, and cakes cooked in pans 9x9 inches or smaller. If you don't, the middle of your cake or treat will not cook through. Set aside a few hours to read the menus and allergy information for restaurants located in your area. Some may not have menus and information online. In those cases, make a few phone calls, or go visit the restaurants with questions prepared. Do not forget to ask about cross contamination issues and packaging processes. Once you find a couple that may work, test them out. Call ahead of time. Let them know you're coming. Give clear an precise instructions about what your family will need, in order to ensure the safety of your child with special dietary needs while there. You may run into individuals who do not understand special dietary needs. 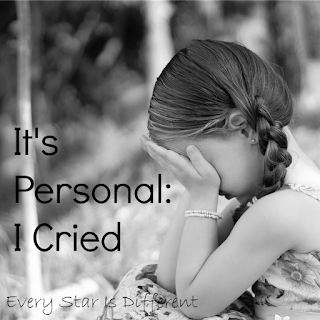 Try not to take it personally. When concerned about this, always request to speak with the manager or owner. If this approach doesn't work, then you know, this restaurant will not be a safe place for your child. It may take time to find a place your entire family can enjoy, but it will be worth it. 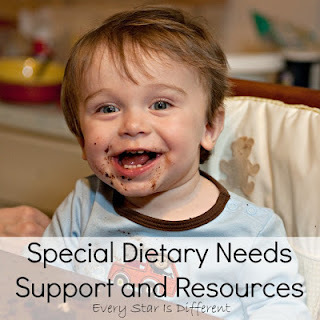 Adjusting to life with a child who has special dietary needs takes time. I've explained the most basic steps when first starting out, but it's still hard. There is a grieving process to it. If your child is an infant, starting out is much easier. 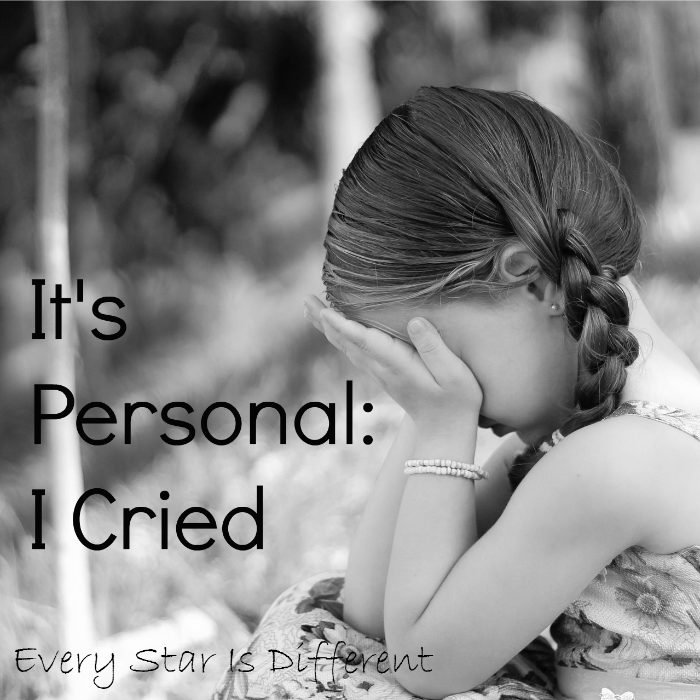 If your child is older, not only will you be dealing with your own grieving process, but their's too. Be patient with yourself and with your child. You can do this! If you enjoyed this post, you may also enjoy the ones below. Oh it's a difficult process isn't it. 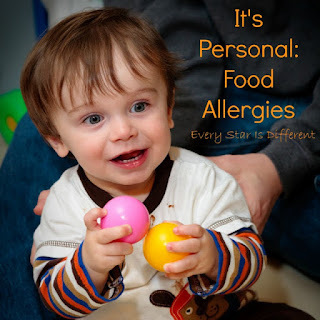 We have close relatives with allergies and it's something we always have to consider.